Gem PR & Media: Good as gold! On Monday evening Gem PR & Media was selected for the 2017 Good as Gold Business Honor Roll at the Good as Gold Springfield Volunteer Awards in recognition of commitment and dedication to volunteerism, service to community, and financial support of non-profits and charitable organizations. The event was hosted by the University of Illinois, Springfield at the Public Affairs Center on campus and is supported by the Junior League of Springfield and United Way. The room was packed with individuals, organizations, and businesses that give back to our community and it was a very humbling experience for our team. This perhaps is the award we are most proud of because we feel extremely honored to be recognized alongside such fantastic people. Once being Patty Stremsterfer, who we recently featured in Eighteen21.com, for her more than 40 years of volunteer work at Memorial Medical Center. Patty received the Good as Gold Springfield Volunteer Awards Distinguished Volunteer Award and I cannot think of someone more deserving. Congratulations Patty! Something we have learned, and continue to remind clients, is that it’s ok to take a minute every so often and acknowledge your achievements – then it’s time to get back to it and work harder. For our family owned and run business it’s about raising the standards of our industry, helping businesses to grow and meet their goals, and giving back to our community. One of the ways in which we like to support our community is through our free, online, lifestyle magazine Eighteen21.com. If you’re involved in a non-profit or charitable organization in Springfield that you believe deserves recognition or you have an event/fundraiser planned that you’d like to promote please get in touch with us. Email 1821@gemprmedia.com and we’ll get back to you. Like I’ve said before, it’s important to celebrate the wins in this competitive world of public relations and media. So, now’s the time to recap on the year and celebrate all the good stuff! Our business has doubled in size in the past 12 months! We are working with clients in Springfield, IL, St Louis, MO, Guernsey and Jersey (the Channel Islands, Europe). Our portfolio of clients is rich and diverse. We’ve worked on state projects. We have worked with politicians. We are involved in a number of non-profits, civic and networking organizations. We sit, and advise, on several boards. We have opened our US headquarters in Springfield. We have welcomed two new faces to the team and we have launched our free, online, lifestyle magazine – Eighteen21.com. But what is most important is the recognition, awareness and revenue growth we have achieved for our clients. Several have been shortlisted and won awards. Others have appeared in a range of publications from The State Journal-Register to Guernsey’s Chamber of Commerce magazine, Contact, and on TV from Good Day Marketplace Illinois with host Melanie Streeper to Fox 32’s Good Day Chicago with former Springfield native Natalie Bomke. We’ve seen their businesses grow and as a result the need to increase staff numbers and move into large offices or workshops. It’s been a great year and we cannot wait to see what 2017 brings. Merry Christmas and a happy New Year! 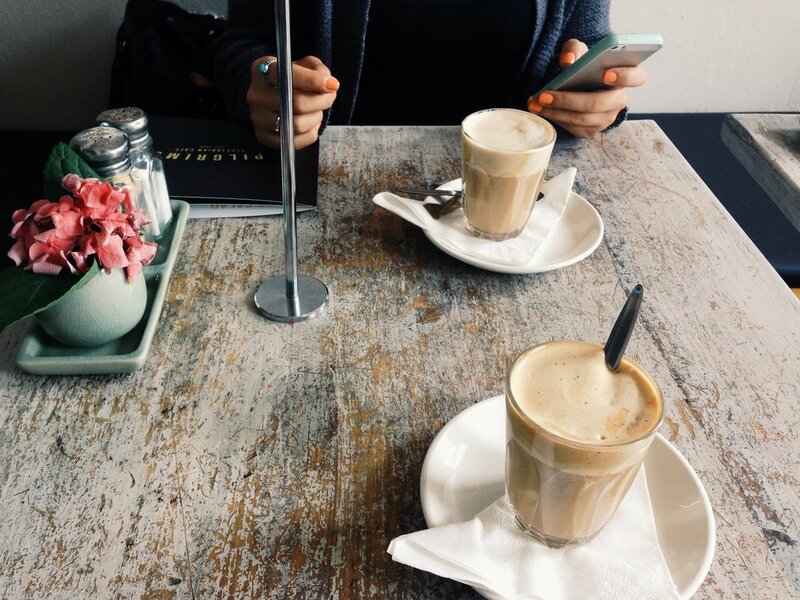 So far, working at Gem PR & Media has been a bit of a whirlwind – to say the least. I hopped on the Gem wagon in late August and since then not only have I been exposed to new areas of PR and media, but I’ve also had the opportunity, and support, to raise my game as a working professional. From day one I knew that this was going to be a fast-paced environment where I would learn hands-on how to navigate my way through the world of Gem PR & Media. I have learned an extraordinary amount of information on topics I have never thought of reading about, whether it’s retirement planning, mortgage loans, website development, or even local Springfield businesses – and enjoyed it. Who would’ve known that there is so much to see and do in what is perceived as such a small town from the outside looking in? Overall, I find that each day is a new adventure. The proverbial anthill that I started upon continues to mound as I explore new areas, am pushed outside of my comfort zone, and find creative ways to help each of our unique and wonderful clients discover their, and my, true potential. The team at Gem PR & Media has decided it’s about time Springfield has a lifestyle magazine it deserves – for FREE. And best of all, it’s right at your fingertips 24/7. We are excited to bring you Eighteen21.com! 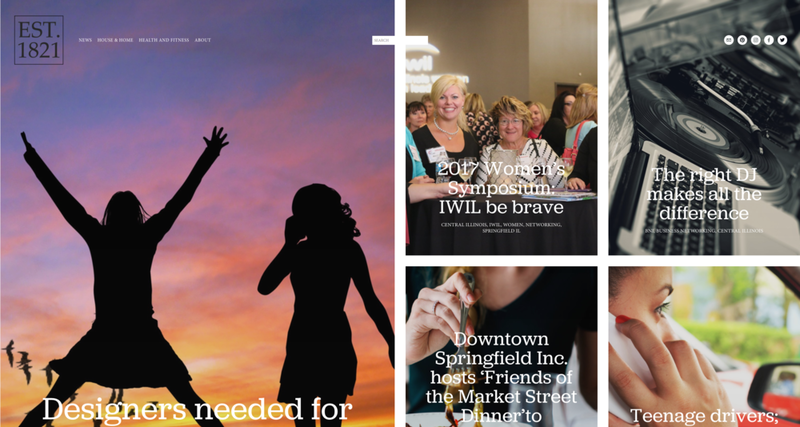 We’ve spent the past few months working on content for our magazine; from interesting articles about local businesses thriving in Springfield and beyond to the people that make our great city tick. There’s no catch here – we won’t bombard you with pop-up ads or require a subscription fee. This magazine is for you – the people of Springfield. The only way you’ll be able to advertise through Eighteen21.com is through carefully crafted articles, which we work on with you – making sure all of your key messages are included so you can reach your target audience at a fraction of the price. Our 700-word advertorials are just $150 for the remainder of 2016. Sounds too good to be true – but we promise it isn’t. So, sit back and enjoy your go to spot for fun features, friendly content and a magazine that costs you nothing.